Why do children in their last year of pre-primary education spend so much time playing and the year after sitting in large classes listening to their teacher? Why do we pay the teachers of our youngest children so much less than we pay the teachers of our oldest children? Why do first-year primary teachers know so little about the children from whom their pre-primary teachers have learned so much? The simple answer is that that’s the way we have always done this. But we have learned so much about how children learn and what they learn best at what stage of their development, that we can, and should, do a lot better. It is time for this knowledge and experience to shape education policy and practice more distinctly. To this end, the OECD has just published its first internationally comparative set of indicators on early childhood education and care and, more than that, we analysed what more can be done to shift the focus from making our youngest ready for school toward serving them and their parents best to build solid foundations for their. This is important. The first years of life lay the foundations for future skills development and learning, and investments in high-quality early childhood education and care pay huge dividends in terms of children’s long-term learning and development, particularly the most marginalised ones. Most OECD countries recognise this, and this is reflected in our indicators which show the steeply rising enrolment and spending figures. These efforts should not underestimated. In most industrialised nations, early childhood education has advanced from a service for a minority of children to virtually universal enrolment for at least one year. However, for the youngest children, provision remains patchy. Beyond that, the benefits of early learning can fade during the first years of primary school if the transitions between early childhood education and care and primary schooling are not well-prepared, or if continuity in quality is not ensured. 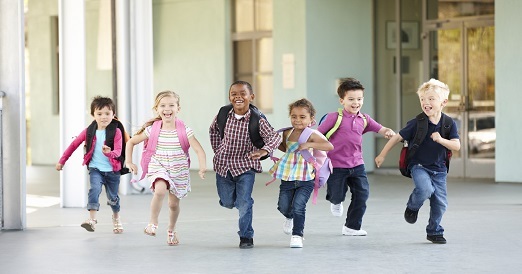 For many children, the transition from the last period of early childhood education to the start of primary school is a big culture change – in the people surrounding them, the ways in which they interact, their number of peers, the types of activities they are engaged in, and their physical surroundings. This often gets compounded by a fragmentation in services, difficulties in engaging all relevant actors, weak collaboration among stakeholders, and simply poor knowledge management across institutional boundaries. Quality transitions that are well-prepared and child centred, managed by highly educated staff who are collaborating professionally, and guided by appropriate and aligned curricula, can go a long way to ensure that the positive impacts of early learning and care will last through primary school and beyond. But there is more to successful transitions. This starts with professional continuity. In most, but not all countries we surveyed, preschool and primary teachers already have access to training on transitions, and qualification levels required for preschool and primary teachers are increasingly brought into line. But pre-primary teachers have often still less working time than their primary school peers for tasks outside the classroom. There are also discrepancies between the status and perspectives of early childhood and primary school teachers, lack of relevant training and support on transitions at both levels, and structural hurdles to co-operation and co-ordination. Curriculum and pedagogical continuity is equally important. On the one hand, many countries have made efforts to better align or integrate their curricula, ensuring that instructional techniques and strategies do not vary too much across transitions. However, in the majority of jurisdictions, children have a less favourable staff-child ratio during their first year of primary school than during their final year of pre-primary education. Add to this differences and inconsistencies in curricula, a lack of a shared pedagogical understanding of staff in early childhood education and schools, and inconsistent delivery of pedagogy during transitions. Developmental continuity is also important. The report portrays many efforts of preparing children, parents and teachers for the transition to primary school, but important differences remain among jurisdictions in their recognition of the importance of children’s participation in transition preparations, in their capacity to raise awareness among parents on the importance of the transition process, particularly for those from disadvantaged backgrounds, in promoting closer collaboration between early childhood and primary school staff, and in increasing co-operation with other child development services. More can also be done to align working conditions of preschool and primary school teachers: increase flexibility and responsiveness to individual communities, families and children, while at the same time strengthening coherence of services; overcome structural and informational roadblocks to co-operation and continuity; and to better facilitate collaboration among staff, managers, parents and the community based on reciprocal communication, inclusivity, mutual trust and respect. The report makes a start to build a comparative evidence base on effective early childhood and care policies and practices, but it recognises that there remain important gaps in our knowledge base. That is encouragement for us at the OECD to push the frontiers further. As a next step, we will be conducting our first survey of staff in early childhood education care, to give these staff their own voice, which is badly lacking in current policy development. The survey seeks to identify strengths and opportunities for early childhood learning and well-being environments, with an emphasis on professional and pedagogical practises, but will also take a close look at the work organisation, careers and rewards of staff. Further down the road, we will try to broaden the range of early learning outcomes that are currently measured, to ensure that these don’t remain limited to cognitive aspects, but instead give due attention to the social and emotional qualities of children where early action can make such a huge difference. Register for a public webinar on Wednesday, 21 June, 17h00 Central European Summer Time (Paris, GMT +02:00) with Andreas Schleicher, Director of the OECD Education and Skills Directorate, Miho Taguma, Senior Analyst and Éric Charbonnier, Analyst in the Early Childhood and Schools division.